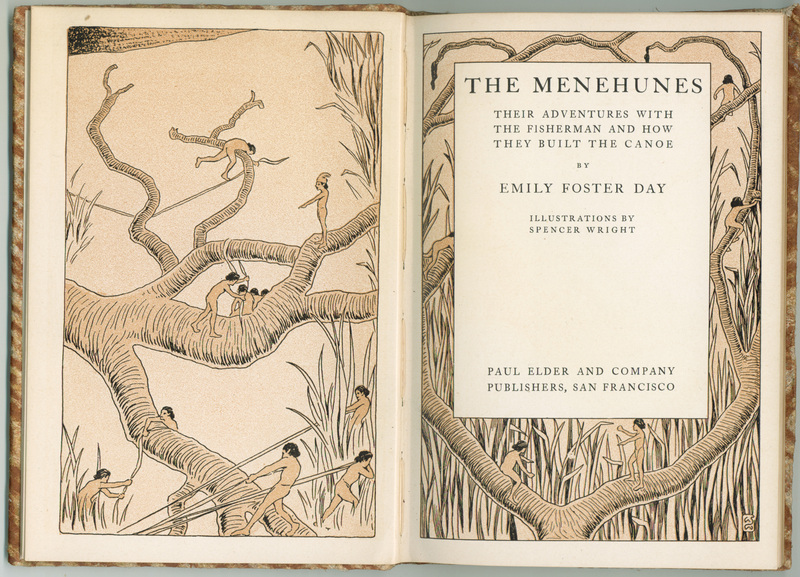 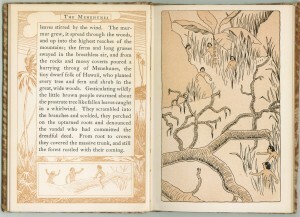 The Menehunes, Their Adventures With the Fisherman and How They Built the Canoe, by Emily Foster Day, 1905. 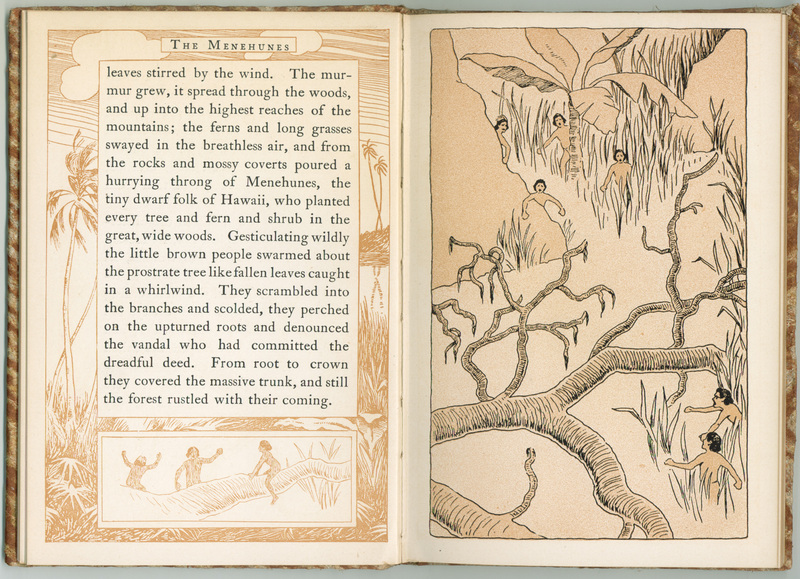 This small volume was bound in Hawaiian kapa fabric, with delightful illustrations by Spencer Wright. 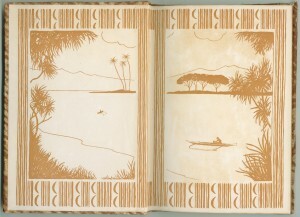 The following year, Day wrote another book of Hawaiiana for Paul Elder, The Princess of Manoa. 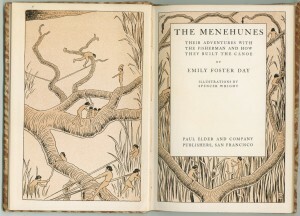 Emily was married to Francis Root Day (1859-1906), a prominent doctor. 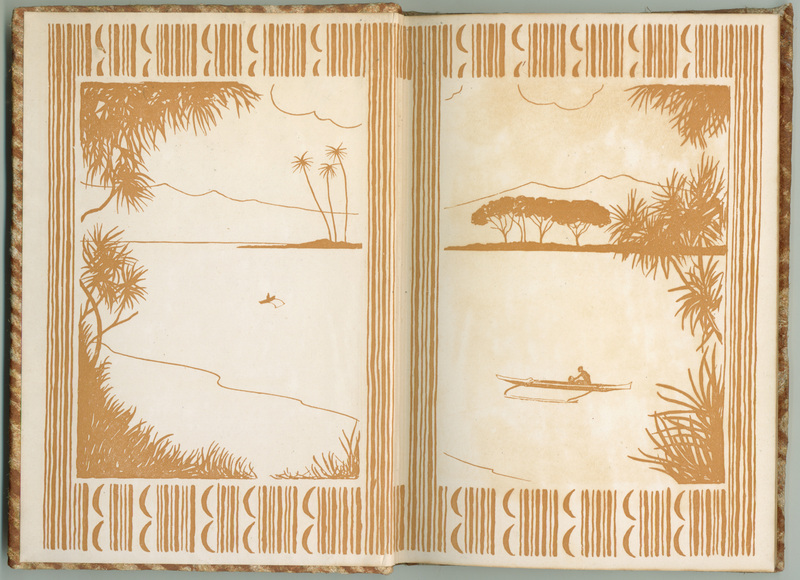 In 1887 they moved from Chicago to Honolulu, where they lived until their deaths. 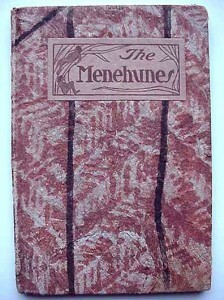 Menehunes are popular characters in Hawaiian mythology; they are said to be a race of small people that live in the deep forest, far from the prying eyes of humans. 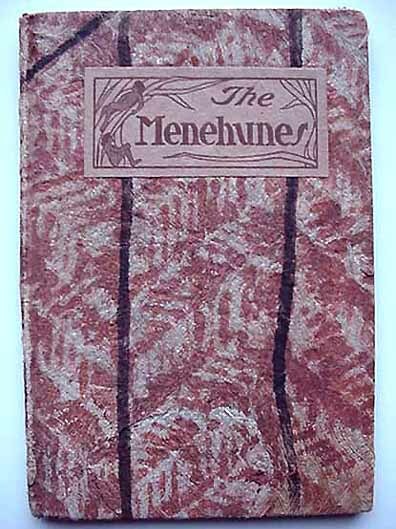 The Menehune arrived in Hawaii before the Polynesians, and were excellent craftspeople who built heiau (temples), roads, and fishing ponds.